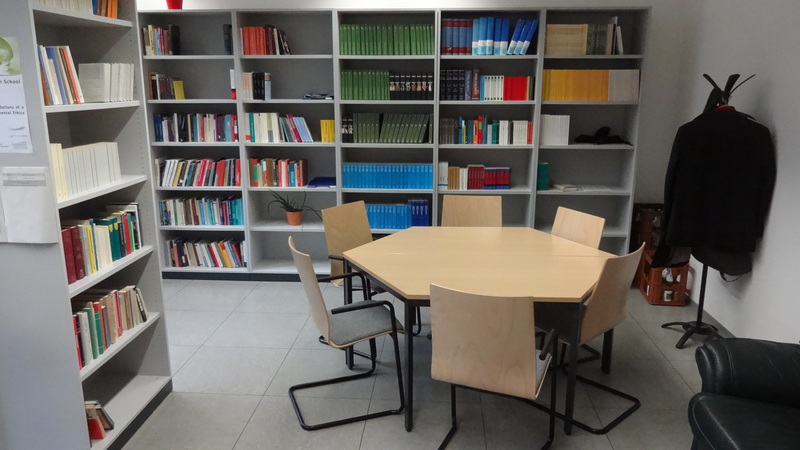 we would like to inform you about the freshly inaugurated Whitehead-Archive at the Heinrich-Heine-Universität in Düsseldorf, which is based upon a substantial endowment of books by Helmut Maaßen and organised by the Deutsche Whitehead Gesellschaft (German Whitehead Society). We hope to provide an opportunity for international scholars to visit the archive and support their work with an already sizeable and ever growing stock of technical literature to Whitehead’s philosophy as well as general philosophical literature. The archive considers itself a part of the international Whitehead-community and always welcomes any visitors or further contributions to its inventory.